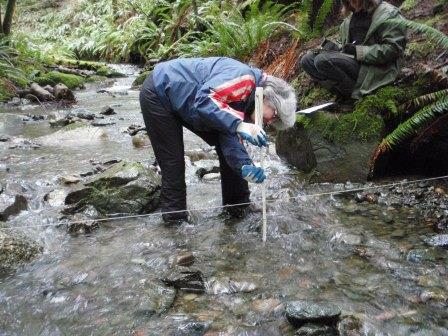 We will be offering a Streamkeepers course in Campbell River on February 27 (Friday evening) and February 28-March 1 (during the day). This is a fun and educational introduction to stream stewardship. This weekend course offers individuals an opportunity for hands-on learning and practice of stream stewardship activities such as stream surveying, conducting water quality testing, and stream invertebrate identification. No experience is necessary, just a willingness to get your hands wet!